Solid flooring is a type of floor thats one piece of wood from top to bottom, regardless of length or width. Solid flooring affords the homeowner the greatest opportunity for customization. Your choice of species stains and finishes all contribute to the personalization of a solid floor. Adding borders, medallions, corner treatments, vents, etc., can further customize a solid wood floor. 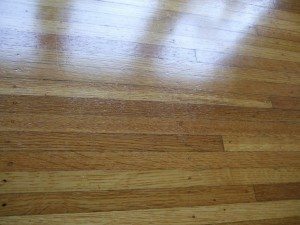 In most cases, solid flooring is nailed down to ¾ exterior grade plywood sub-floor, and is excellent in most areas of the home at ground level or above. Prefinished Engineered wood flooring is available in 3 and 5 ply. 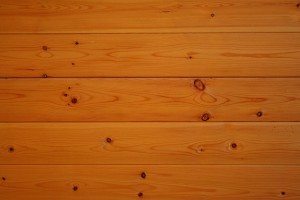 It is a wood flooring product that consists of layers of wood pressed together, with the grain running in different directions. Engineered wood flooring is an option for those areas of the house where solid wood flooring may not be suitable, such as below grade level, concrete slabs with height restrictions, and radiant heat systems that are in the sub-floor. Because the grain runs in different directions, engineered flooring is more dimensionally stable than solid wood flooring. This means that engineered flooring will expand and contract to a lesser degree during humidity and temperature fluctuations than solid wood flooring. Various species and colors of engineered flooring are available. Most engineered flooring products are pre-finished, and can be available in some species. Strip Flooring is linear flooring that is usually 1 ½ , 2 ¼, 3, or 3 ¼ inches wide. It creates a linear effect in a room, often prompting the illusion of a larger space. Plank flooring is also linear, however wider. Common widths of plank flooring are 3, 4 and 6 inches. Installations of plank flooring may include one width or several alternating widths of flooring. Plank flooring also may incorporate wood pegs, usually walnut. Plank flooring is often preferred for a more traditional or country décor. 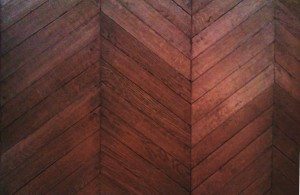 Parquet flooring is a series of wood flooring pieces that create a geometric design. Parquet offers a variety of design options, when linear is not your preference. If you have any questions regarding the above floor types or styles that we provide, we encourage you to contact or call us directly at 630.351.9360 or 630.539.WOOD (9663).